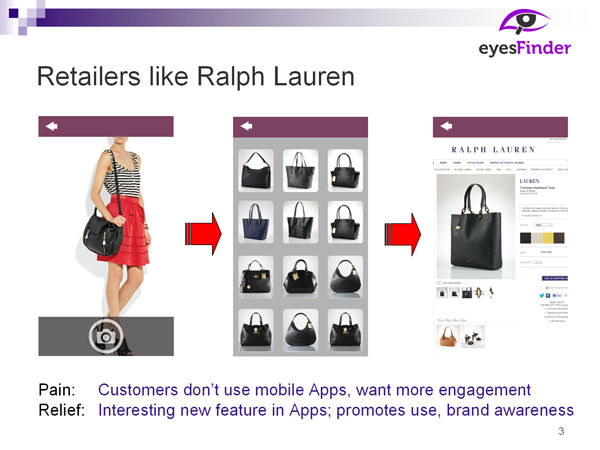 So, who is the customer? 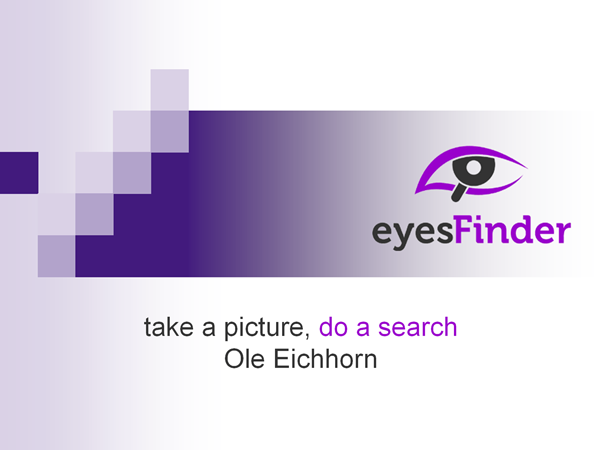 How great will it be when we can just take a picture to do a search? 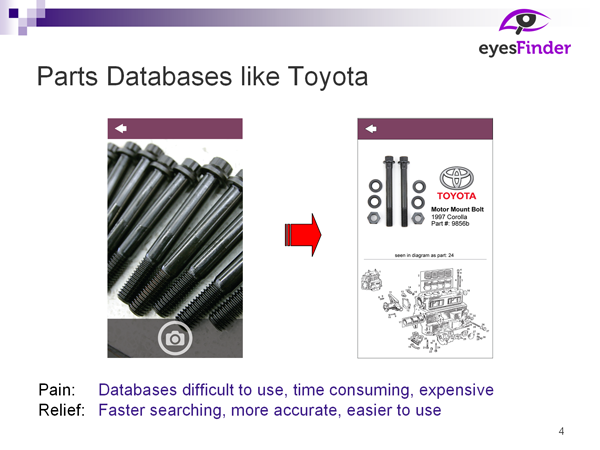 From there we'll move into other market segments, such as retail and databases. 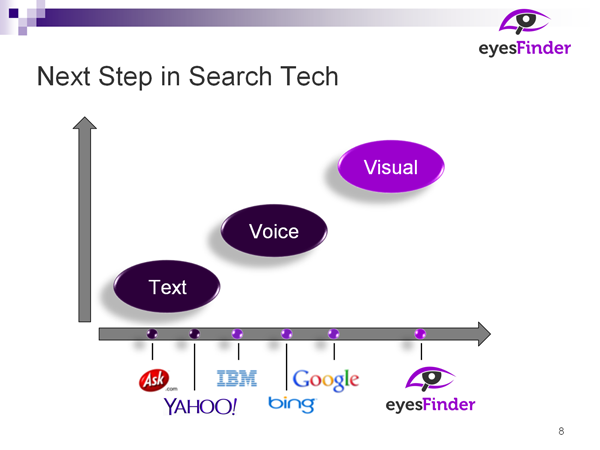 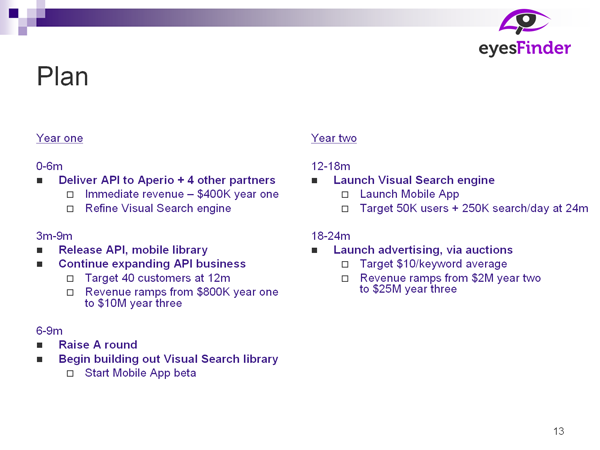 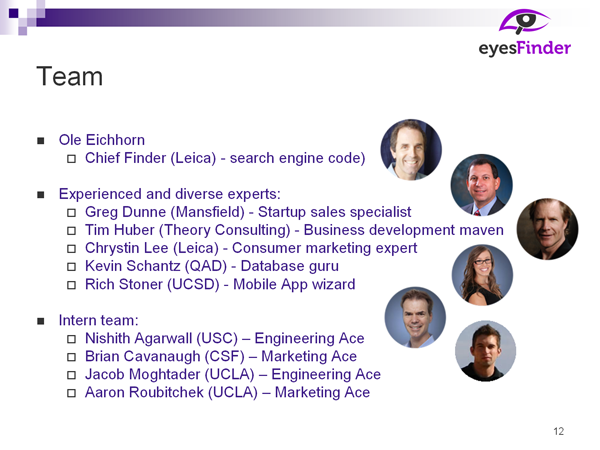 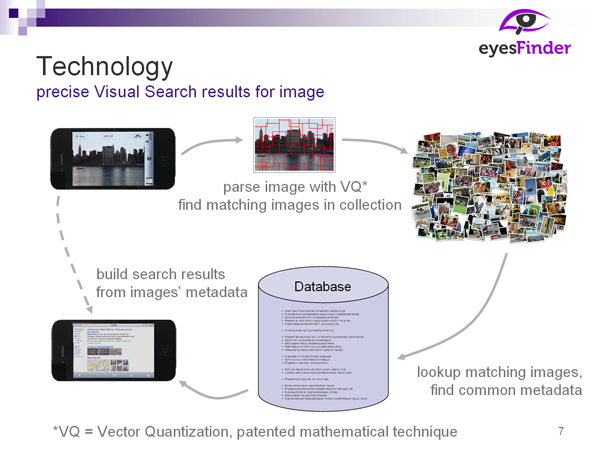 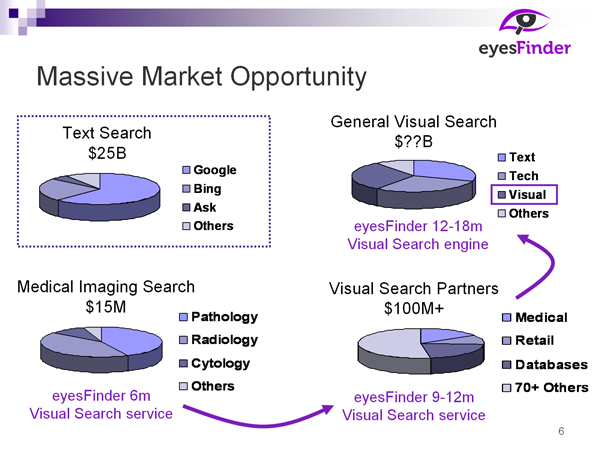 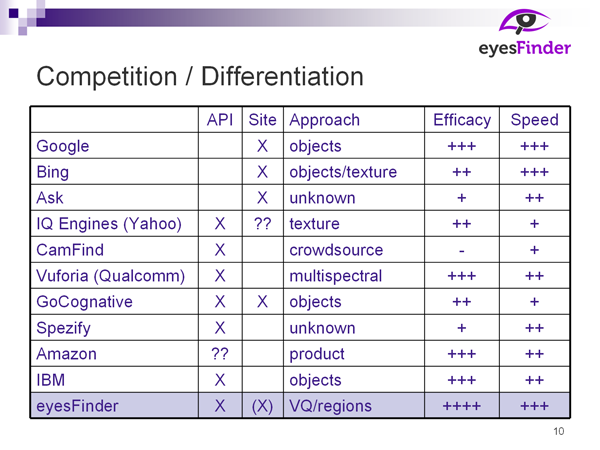 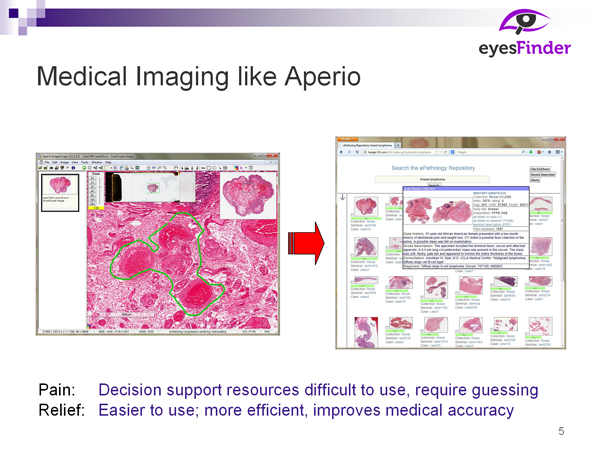 And then we'll tackle creating a visual search engine ... for everyone! 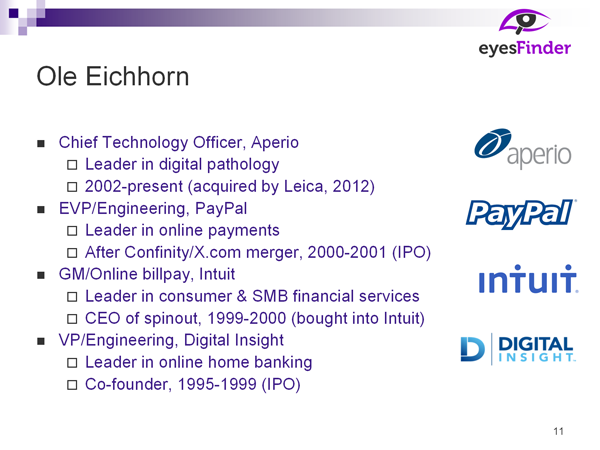 I was a co-founder of Digital Insight, the leader in online home banking. 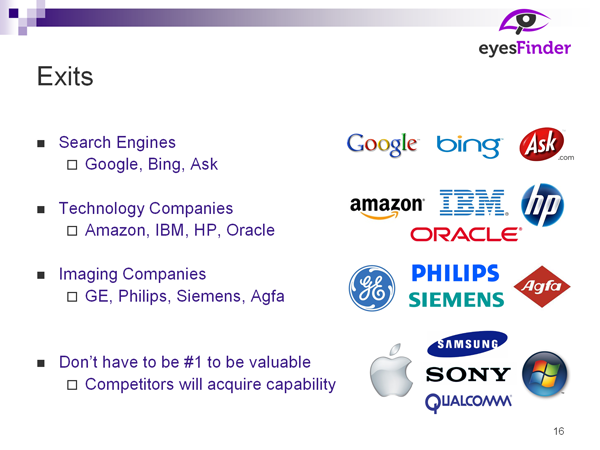 That was an interesting time, we used to start every presentation with "this is the Internet". 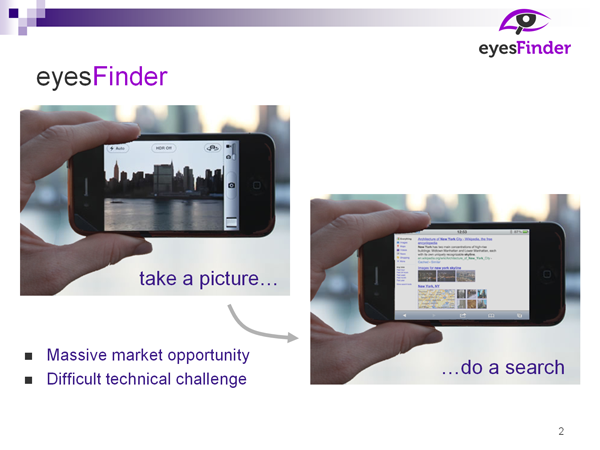 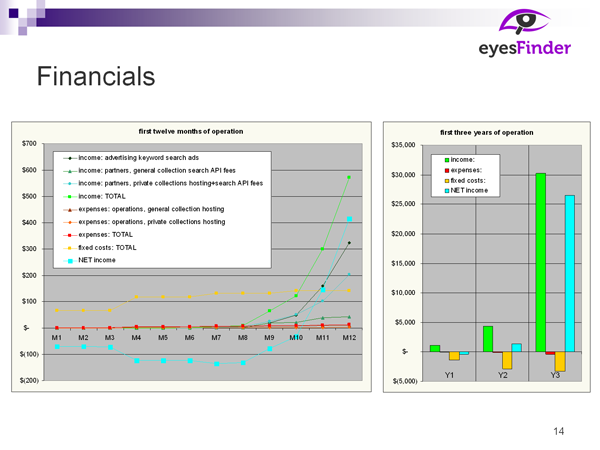 There are three key drivers to the financials of eyesFinder. 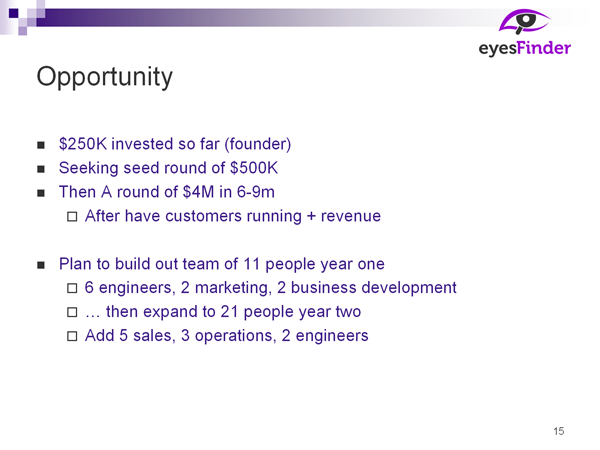 Our main expense is our staff, which we project to grow from 11 people in year one, $1.2M, to 21 people in year two, $2.4M. 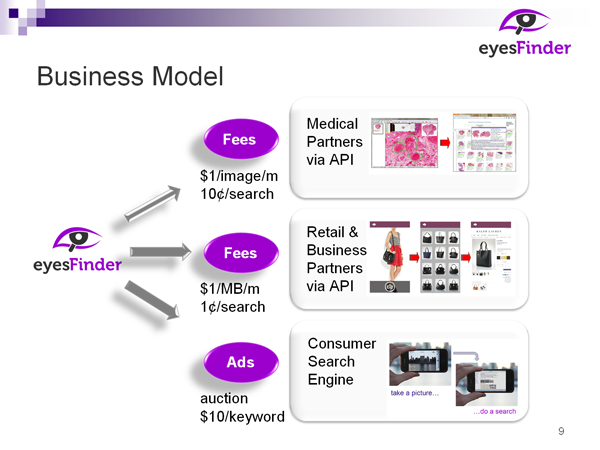 The per-image, per-search fees from the API will be the primary source of income in the first two years, overtaken by keyword auctions for advertising which will drive stronger growth.